Shredded coconut and ground flax, chia, and hemp seeds give this hot cereal the same hearty texture as oatmeal, with almost twice the amount of fiber. Combine the dry ingredients ahead of time for a porridge mix you can whip up almost instantly! Combine the almond milk and vanilla extract in a medium saucepan over medium heat. Bring to a gentle boil, then add the flax, chia, and hemp seeds and shredded coconut. Reduce the heat to a low simmer and stir until the porridge thickens. Season with a small pinch of salt. 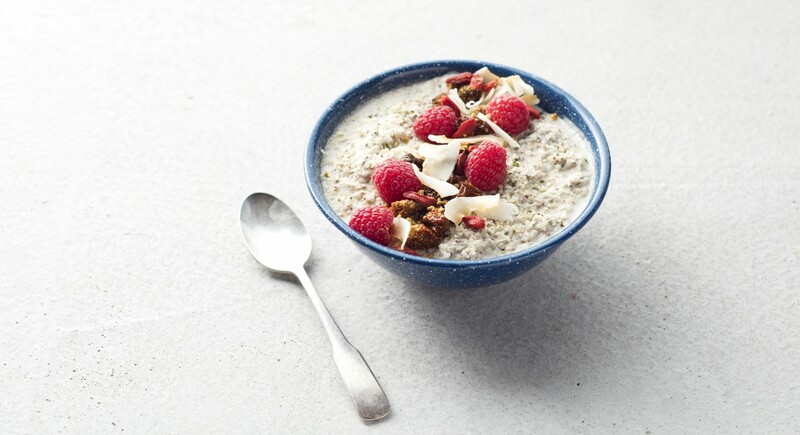 Serve immediately topped with raspberries, coconut flakes, goji berries, and goldenberries.